A charcuterie board is a great, easy go-to for entertaining and it works year-round. If it is made well, and is visually appealing, it will be desirable to any non-vegetarian guest. Seriously. Most people love a great charcuterie. The word, pronounced “shar-cute-er-ree”, means “pork-butcher’s shop“. The word is derived from the French word “chair” (meaning meat) and “cuit” (meaning cooked). The concept of charcuterie dates back hundreds of years. Curing and preserving is a cooking method that can be traced back to earliest civilization. Charcuterie shops, which originated in France, date back to about the 15th century. The charcuteries sold cured meats to villagers to supplement the supply of fresh food available throughout the year. 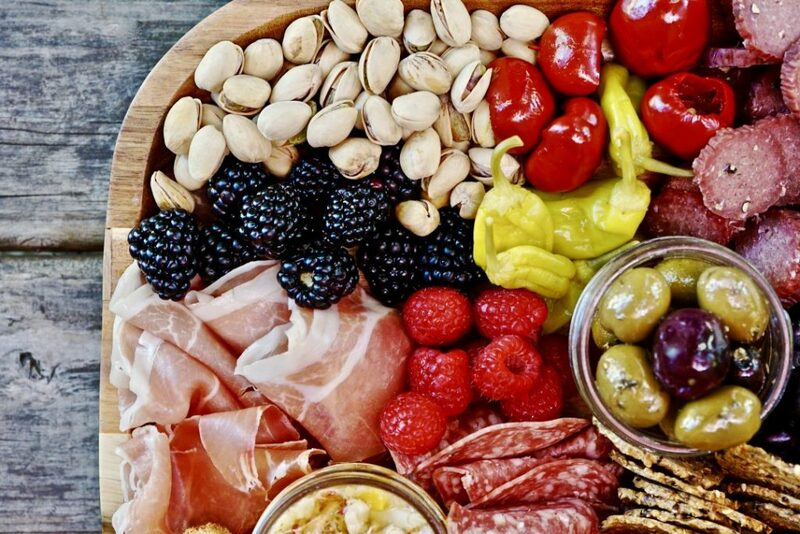 To assemble a great charcuterie board, like a wonderful cheese board or bountiful fruit platter, it’s not about expense or any one ingredient. In fact, this is one area where people will judge a book by its cover. You want bright colors, different textures, and enough choices that any guest will be enticed to sample something. No guest wants to be “the person” who mess a masterpiece: making it approachable is important. 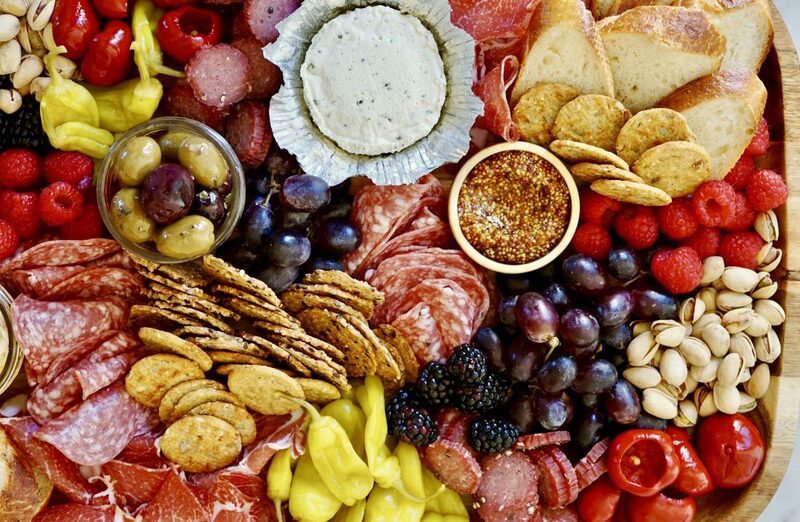 Below are some key elements to remember when building your killer charcuterie board. 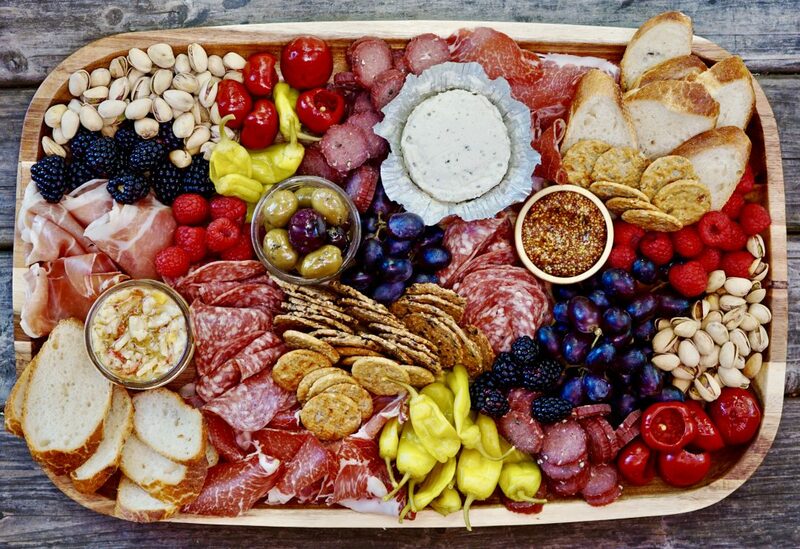 Canvas: To begin building a gorgeous charcuterie board, first find the right board or platter to build on. Large cutting boards, marble slabs, slate boards or large simple platters all work well. Cured Meats + Salumi (Salami): Good quality cured meats are worth a bit of money. 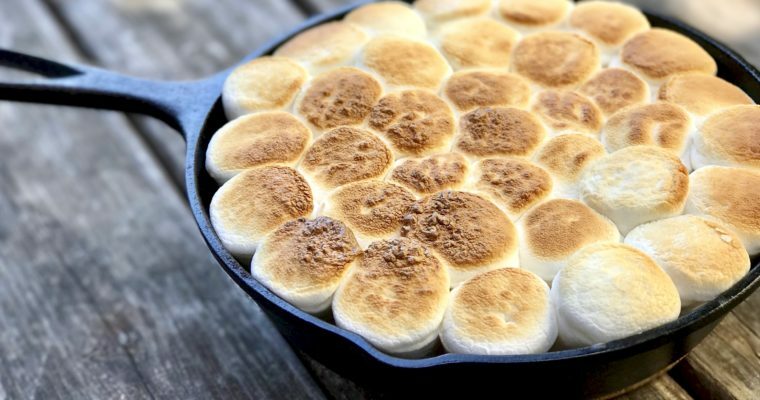 If you are going to indulge, try to offer a variety, including at least 3 different kinds of meat. Remember to slice it ahead (or buy it sliced). Keeping one item whole for guest to slice is fine, but no more than that. Soppressata, salami, prosciutto, bresaola, and pepperoni are all lovely cured meat choices. 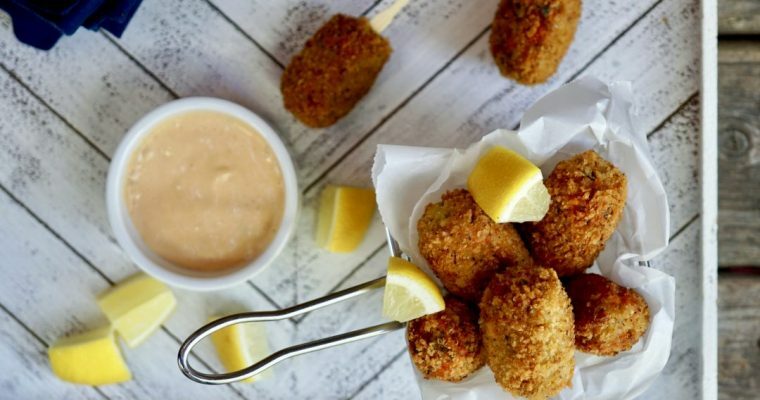 Spreads + Dips: Add a simple herbed spreadable cheese, local honey, country pate, homemade or store-bought olive tapenade, marinated artichoke spread, good quality grainy mustard, or some roasted red pepper dip, all can compliment cured meats nicely. Garnish: such as cured mixed olives, peperoncinos, sweet red peppers, caper berries or cornichons. Not only do these flavors complement cured meats, they add a pop of color and shape. Texture: Crackers, bread, and bread sticks all work. I prefer a nice mix of crunchy and soft options. Pick your favorites, but remember variety is great. Fruit: An absolute must. Raspberries, blueberries, strawberries and any kind of grapes are all great summer fruit options. For winter, dried fruits work great as well as apples, pears, figs and dates. Fruit allows for color and texture balance. Feel free to do a mixture of fresh and dried, option is always good. Nuts+ Seeds: Plain or seasoned, sweet or savory, nuts are always a great enhancement. Pistachios, almonds, pecans, walnuts, macadamia nuts, toasted pumpkin seeds, are all wonderful options. Design: I can’t stress it enough, keep it casual and simple. The goal is for your board to be enticing, you need to draw guests in. To do so, you want a full board that invites people to sample foods without feeling self-conscious that they are taking the only one of any item.